Need help booking flights, accommodations or ground transportation, including car rental or chauffeur service? Enactus World Cup Host Country Sponsor, Enterprise Rent-A-Car, recommends its partner, Clarity, for your travel management needs. As an expert booking service, Clarity can provide you, your travelers and groups of delegates with complete peace of mind knowing, whatever the situation, there is a team of experts on-hand to support all your travel needs, including emergency support should you need it. Click on the clarity logo to start your travel planning now. We are proud to be hosting the Enactus World Cup 2017 at the ExCeL London – ICC East Entrance. ExCeL London is a state of the art convention complex located on the East side of London. There are numerous hotel options near ExCeL London for you to choose from for your stay during Enactus World Cup 2017. 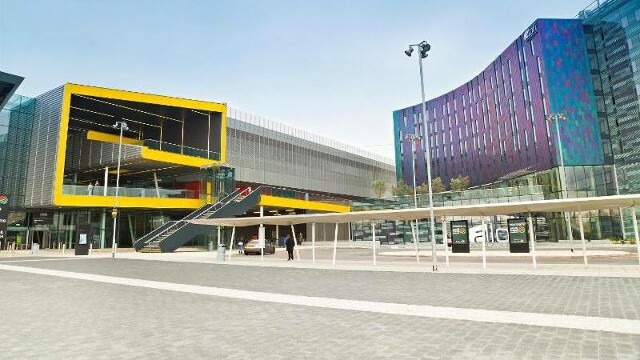 Due to contracting terms, Enactus has elected this year to create a minimal hotel block at the Aloft London ExCeL, which is the most directly connected property to the area of the convention center where EWC2017 will take place. Attendees are encouraged to consider the Aloft for its convenience, but also invited to explore all area hotel options to find the solution that best serves your needs. A Google search for ExCeL London will allow you to visually see the area hotels. Our travel management partner Clarity can assist you with identifying and booking your hotel needs. Click here to complete the Clarity travel questionnaire and a member of their staff will respond to assist you with the hotel search and booking process. While this is the furthest it is likely the most common airport to arrive at because of its size. It is a much smaller airport so prices are much higher. Gatwick is approximately 1 hour 25 mins from ExCeL London by train. A great resource you can use for planning your trip is Plan A Journey website. It is also recommended that you download the “Tube Map Underground” mobile app from the Google Play and iTunes stores. This is a free resource that does not require data for use. London is the political, economic and cultural capital of Britain. London is incredibly well-connected, with five international airports and the high-speed Eurostar rail link. More than 50 countries are within a three-hour flight time and upwards of 300 international destinations have direct links to London. London is a city at the center of the world – and a world in one city. Around 230 languages are spoken in London and you’ll find a wealth of different cultures and communities throughout the capital. Type G is mainly used in the United Kingdom, and electrical outlets (sockets, wall plugs) use a standard North America two or three prong configuration. The electrical supply is 230 Volts and 50 Hertz. Below is what most wall sockets look like in London. It is recommended that you bring your own adapter or purchase one before travelling.